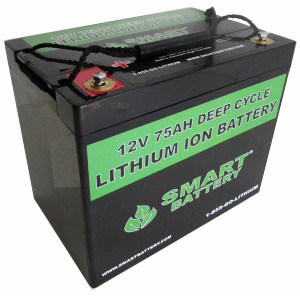 Smart Battery offers Deep Cycle Lithium Batteries that can be combined in series for 12V, 24V, or 36V Trolling motors. 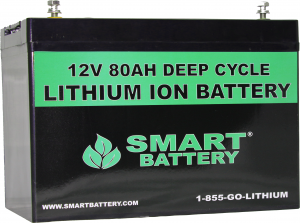 Our Lithium Batteries will work with all trolling motor brands and are a drop in replacement from your AGM Batteries. 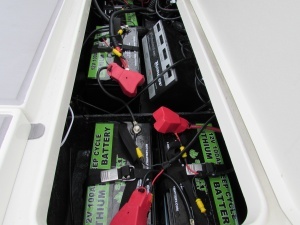 Thousands of Anglers have purchased Smart Battery Lithium Batteries for trolling motors to increase performance and decrease the weight of batteries in their boats. 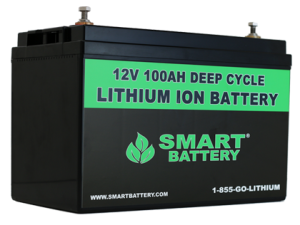 Our proven reliability and safety has made Smart Battery the leading Lithium battery supplier worldwide for Lithium batteries used in trolling motor applications. 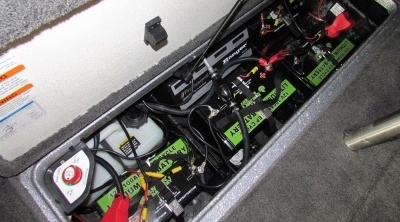 On average a typical bass boat will require 3 - 12V batteries for a 36V trolling motor. A typical AGM group 31 lead battery weighs around 75 lbs. Times that by 3 and you have 225 lbs. of lead in the back of your boat. Add another group 31 for your engine and that is 300 lbs of lead acid batteries. 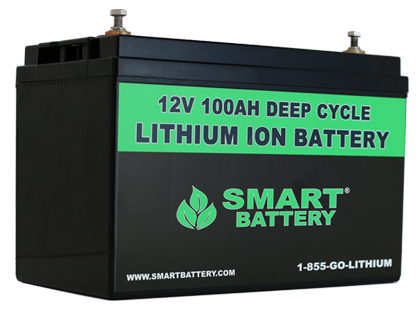 The Smart Battery group 31 - 12V 100AH Lithium Ion Battery only weighs 28 lbs. and is the ultimate Lithium trolling motor battery that will outlast and outperform any other group 31 battery on the market. At just 28 lbs. 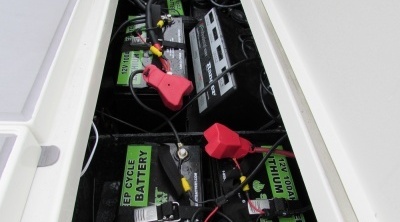 by switching the trolling motor batteries from lead to lithium your removing 141 lbs. out of the boat. 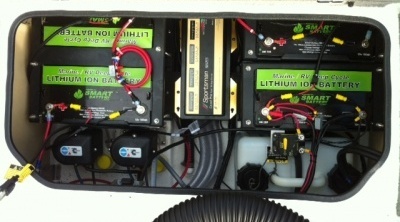 If your going to replace your engine battery with a lithium, you can remove over 200 lbs out of the boat. 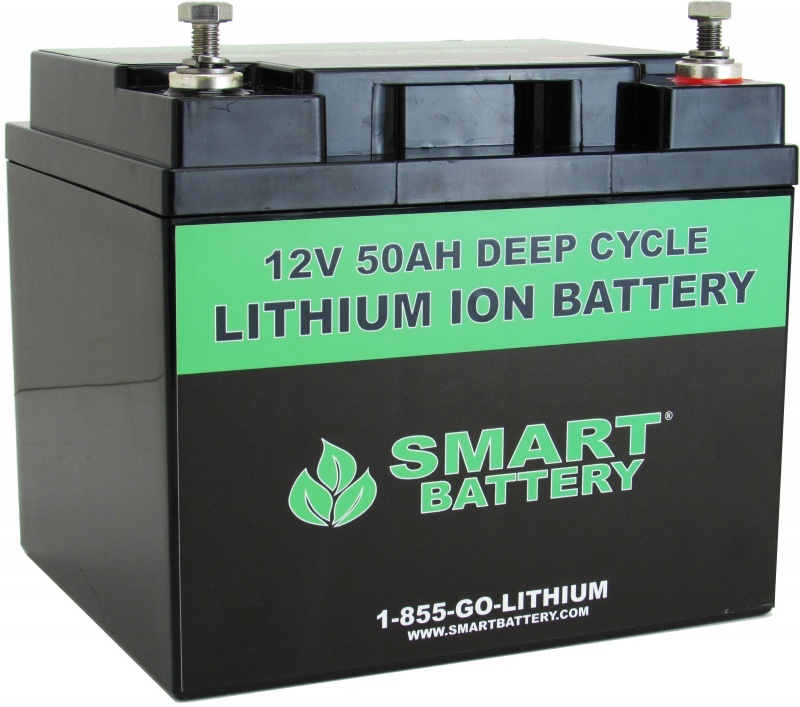 Most Professional Bass Anglers run 4 - Smart Battery Group 31 - 12V 100AH Lithium Batteries. This saves around 200 lbs of weight and helps them gain a 3 mph increase in top end speed, a faster hole shot and require less draft. The SB50 - 12V 50AH Lithium Battery is ideal for anglers wanting a light weight - cost efficient Lithium Battery for their trolling motor. Type of Use : Mid Level - Average 4 - 8 hours of fishing. The Group 24 - 12V 75AH Lithium Battery is ideal for most trolling motors and is widely used by anglers who want enough power to last throughout an entire day of fishing. Type of Use : Mid - High Level - Average 6 - 10 hours of fishing. The Group 27 - 12V 80AH Lithium Battery is commonly used for Anglers wanting to have enough power to last all day and still have power left over. Type of Use : High Level - Average 8 - 14 hours of fishing. 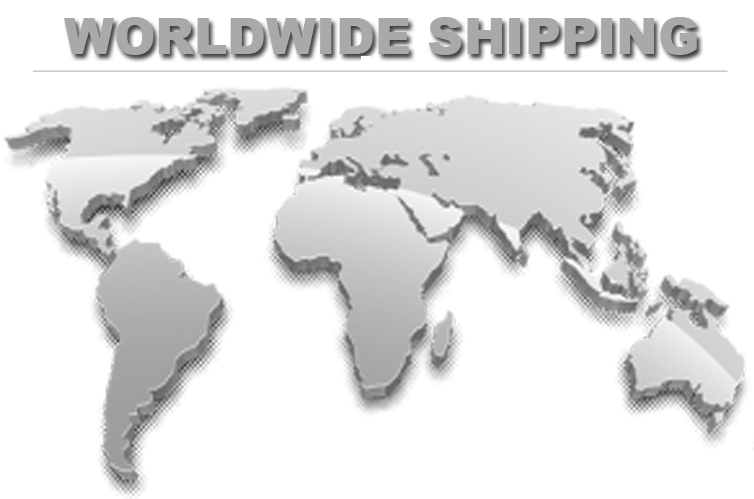 The Group 31 12V 100AH Lithium Battery is the Ultimate Lithium Battery for any trolling motor. Used widely by Professional Sports fishing and Bass Anglers, the SB100 provides enough power to keep your trolling motor running at maximum performance through out the entire day. Type of Use : High - Professional - Average 12 - 24 hours of fishing.